I’m so excited to tell you about a product today. 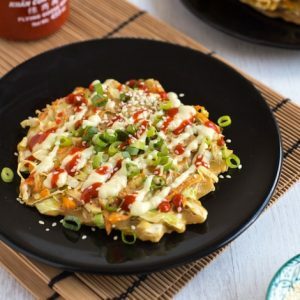 As soon as I saw these noodles online, I just knew that I had to tell you about them! 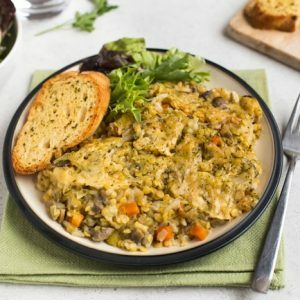 So – low carb, high protein, and high fibre! 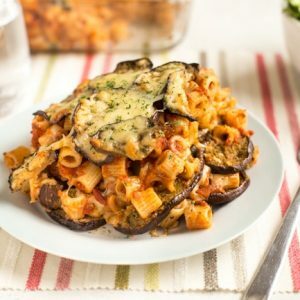 It’s a pasta lover’s dream! You might expect such an incredible product to be full of bizarre ingredients, but nope: beans and water. That’s it – which means they’re gluten free, vegan, and they’re also totally organic. How Explore Asian managed to get beans and water to look and act exactly like pasta, I have absolutely no idea. But they did! It’s utter magic. 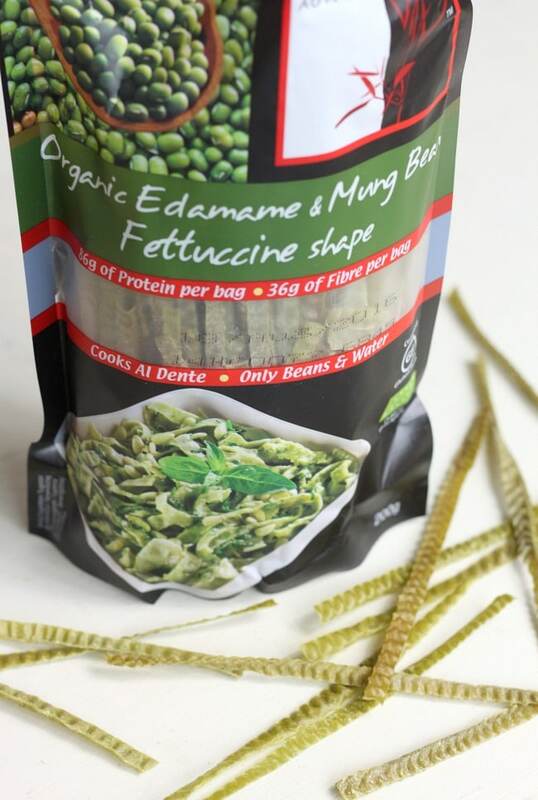 I used the fettuccine shaped noodles, made with edamame and mung beans, but there are also varieties made with black beans, soy beans and adzuki beans (which each give a different coloured noodle!). 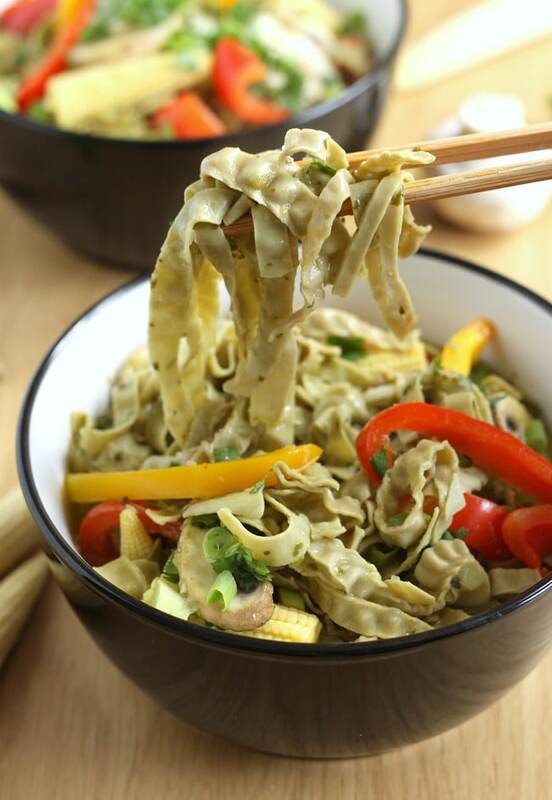 The texture is a little different to normal pasta (these noodles are a little chewier), but they’re still absolutely delicious, and will definitely curb your pasta craving! 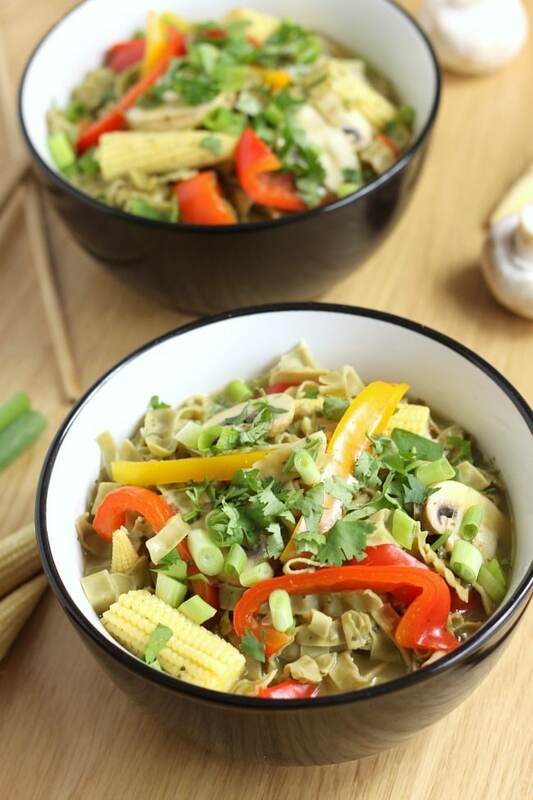 I used my bean noodles to make Thai green curry noodle soup, but you could use them for Italian-style pasta dishes too – just like normal pasta, the flavour is pretty mild, so you can dress them up however you like. 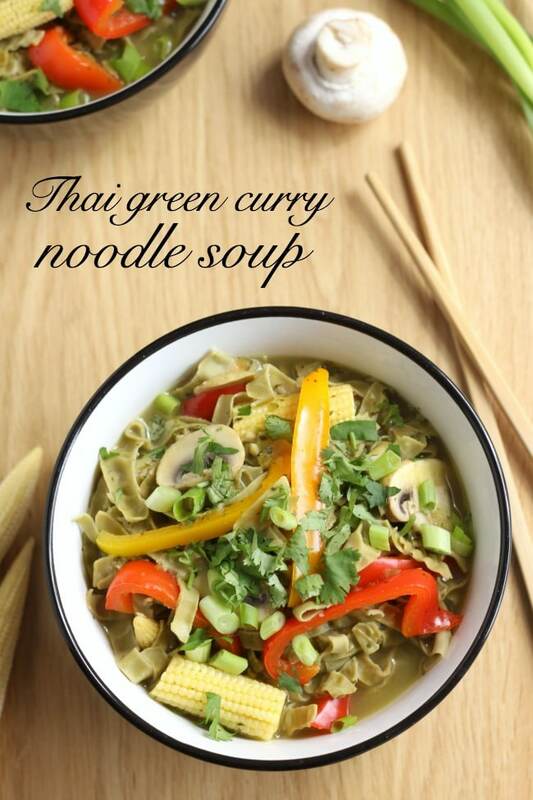 I had some of my homemade Thai green curry paste to use up, so noodle soup was a no-brainer for me! If I’m honest, I went a little heavy on the noodles and a little light on the soup – these noodles are super filling! The packet looks like it should serve about two people, but could easily serve four (and I’m not a light eater…). 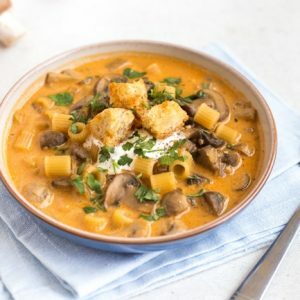 You can adjust the quantities of the recipe to get a consistency you’re happy with – add more or less vegetable stock depending on how noodly you want your soup to be! 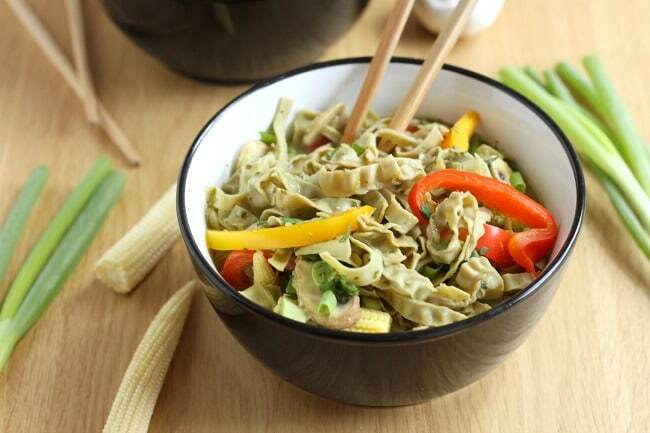 What do you think – do these bean-based noodles inspire you? If you’d like to get your hands on a pack, you can get some through Lavida Food, the UK stockists. 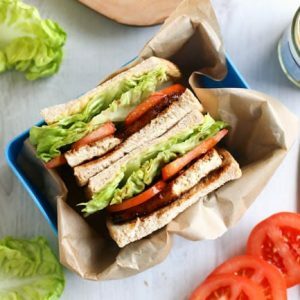 The range is available at Ocado, Wholefoods Market, Planet Organic, Real Foods, Amazon UK, Healthy Supplies, Nature’s Health Box, and all good health food stores. (or, if you’re in the US, you can find the products on Amazon too). Heat the oil in a large wok, and add the onion, red and yellow peppers, baby corn, and mushrooms. Stir fry over a medium-high heat for a few minutes, until nearly tender. Then add the curry paste, and cook for 2 more minutes. Meanwhile, boil the bean pasta for around 6-7 minutes, until cooked al dente. Drain the pasta, and add it to the wok with the vegetables and curry paste. Mix everything well, and add the vegetable stock. Season to taste (you probably won't need extra salt unless you used low sodium stock). 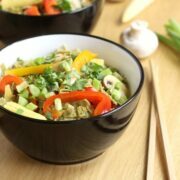 Bring to a boil, and serve topped with more spring onions and some fresh coriander (cilantro). These noodles aren’t only good for Asian dishes – try using the black bean noodles to make enchilada noodles! « Previous PostAmuse Your Bouche Reader Survey 2014: The Results! 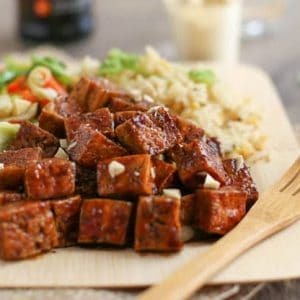 These recipes are just grand , Love the bowls I been a chef for over 40 years you have some professional recipes here. 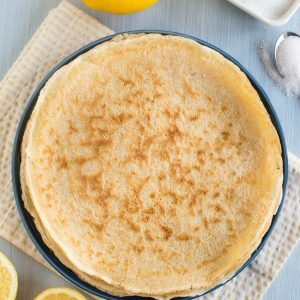 What a superb recipe! It looks so good!! Wow, I never heard of bean noodles, I’m definitely curious now; how many grams are in one package? The photos look awesome by the way! Still, it looks super delicious! Wow! Have never heard of these before but absolutely love the idea of them. Love moong beans. Have just used them in my last post actually but these ribbons are just wondrous! I’m loving the sound of those noodles Becca and such a tasty looking noodle soup. 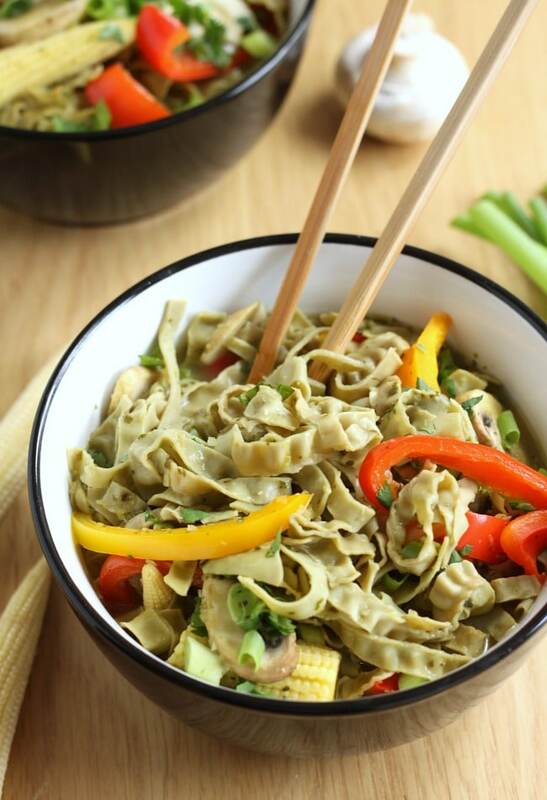 These noodles sound good – I have friends and relations who have coeliac disease and are always on the lookout for decent gluten-free pasta, so do you know where they would be able to buy them?